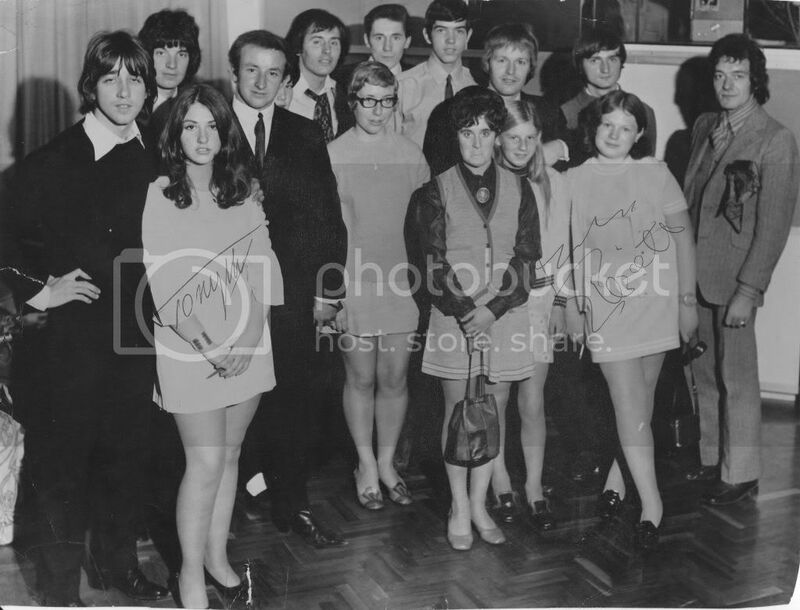 I and my friend attended this convention in Central London.I am standing behind Bobby to the left hand side as you look. Does anyone else have any other fan club pictures that they would like to share with the fans. Feel free to post any pictures you might have. What a fantastic photo, you lucky person. This must bring back some great memories. I was a member of the fan club from 1969 - 1973, but as I live in Sweden, I could only dream of attending a convention. It seems like fan clubs have been dealt the same fate as the dinosaur. Does anyone know if and when the OFFICIAL Hollies fan club was discontinued? The Official Hollies Fan Club was discontinued in 1973. Rod Shields, who was the sekretary at that time, wrote the last fan club letter 1st September 1973, telling that Mikael Rickfors had decided to leave the group, and that Allan was back again. At the end of the letter he wrote: "I'm reluctantly having to suspend the Fan Club and with it the writing and delivery of the newsletter. Time is becoming very difficult to find and put on one side for the writing and envelope printing, etc., and although I have received many offers from members all over the world to help out, I have had to say No and thank you. You really have to be involved within the family, so to speak, to understand what goes on." I remember being very sad about this, and after that, it became more difficult to keep up with the Hollies. I've kept all my fan club letters. Fan clubs still exist for some artists, and with the internet, websites, MySpace, and Facebook, they have an easier time of getting people to join and keeping them informed.